The Brand Finance Global 500 has always been one of the most anticipated and authoritative brand rankings in the world, and is used by investors and companies alike to familiarise themselves with the value of particular brands. The methodology of determining the Global 500 brands is fairly complex, but ultimately it uses the technique of discounted cash flow (DCF) to estimate future royalties at an appropriate discount rate. From this Brand Finance determines the net present value (NPV) of the trademarked brand as well as its intellectual property. The result is an accurate ranking that has authority with companies and business experts from around the world. The 2012 Global 500 brand ranking saw some major changes in the upper ranks, and some interesting evaluations can be made by examining the upward direction of lower ranking brands. This article highlights some interesting observations that have been made according to Global 500 brand reports. The Global 500 brand reveals that the majority of the top ten ranking brands are information and technology brands, which reinforces the view that the current economic era is driven by these two industries. Overall, technology and information based brands increased by 79%. 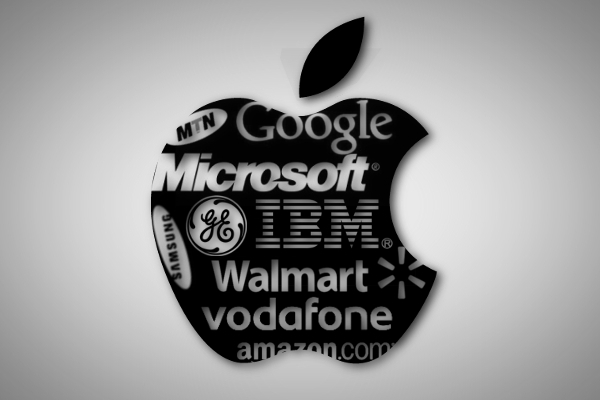 Apple trumped Google to make first place, followed by Microsoft and then IBM. Apple’s number one ranking may come as a surprise to many, since the luxury brand may have been expected to take a dive considering the economic downturn. However, according to the Global 500 brand, consumers still seem to be enjoying indulgent lifestyles. Brand Finance also reported that having the latest gadget is a necessity for consumers of today, according to the Global 500 brand report. Are BanksConsidering China’s rising global dominance, it came as a surprise that only five Chinese brands made the Global 500 brand top 100 ranking. Of these five companies four were banks, suggesting that China still lags behind the United States and Europe with regards to having globally recognised companies. According to the Global 500 brand, China’s Construction Bank is the most valuable brand at 48th position, with an estimated value of $15.5 billion. This is followed by the Industrial and Commercial Bank of China (54th), Bank of China (67th) and the Agricultural Bank of China (84th). The only non-banking company was oil company PetroChina. Only one African company made the Global 500 brand. South African mobile service provider MTN maintained its position as sole African representative, but impressively moved up twelve places to 188th position. The improvement indicates MTN’s growing importance in twenty two African and Middle Eastern markets. According to the Global 500 brand report, MTN’s revenue increased by 9.7% from 2012 and now connects over 164.6 million subscribers. MTN has emerged into a world class mobile operator and is set to be the African company to watch in the future. Penny Munroe is an avid writer in business related news and topics. Articles range from how to conduct the best office search to sourcing the best executive suites San Diego has on offer.